Legal translation services demand knowledge of law, legal language, legal terminology, and legalese. Certified translation services accompanied by an affidavit of legal translation require accuracy and skills. Denver, New York City, Los Angeles, Miami, D.C., San Francisco, Houston, and other cites in the USA have document translation services for immigration translating marriage certificates, diplomas and transcripts, divorce decrees, and other multilingual papers from Chinese, German, French, Portuguese, Spanish, Arabic, Russian. But if you want to truly look your best when you plead your client’s case to the trial court, depose a foreign witness, or deal with sensitive foreign language emails and highly specialized technical and legal texts in U.S. litigation and pretrial discovery, don’t entrust patent litigation document translations to non-specialists. Seek out a legal translation company whose legal translation services by certified translators and interpreters are trusted by the world’s most reputable law firms and corporations in different types of industries. You can rely on legal translators at All Language Alliance, Inc. to produce the best certified translation of all manner of legal texts and evidentiary documents that will be admissible in evidence and accepted by U.S. courts, domestic and international regulatory agencies, the USCIS, the USITC, U.S. government offices, foreign embassies, professional licensing boards, educational credential evaluators, colleges and universities. Sure, there are lower-priced foreign language translation agencies out there. But the quality of their work doesn’t come close to matching the high quality of our legal translation services. And isn’t the quality of the certified translation by professional translators for the legal industry what matters most? No matter what kind of law document translation you need, our legal translation services by certified legal translators give you the best first impression you can possibly give to a trial judge or a business contact both in the U.S. and overseas. Your certified document translation from any foreign language and English matters to our translation and interpretation service in Denver, Colorado, USA. You give us your trust, and our certified translators and linguists for different languages provide you with the very best legal document translation from Spanish to English, professional Chinese translation services, German to English certified translation, legal translations from English to French and other languages and dialects, along with confidentiality, multicultural and linguistic expertise, and industry-specific knowledge so that nothing gets lost in the official document translation. Your legal translations remain legally binding and enforceable worldwide, across borders and jurisdictions. Your multilingual financial, insurance, technical, and medical document translations communicate clearly and precisely in the domestic and international markets. Your USCIS certified translations with an acceptance guarantee; notarized and certified translation of Apostille documents, Apostille certificate translations and Authentication certificate translations; sworn translation services; flawless official translations of court documents, insurance papers, legal agreements, discovery and litigation papers, academic documents, certified translations of FBI criminal history record, also known as Identity History Summary, read as if they were originally written in that target language. 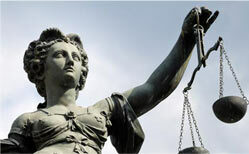 Legal translation services for litigation; immigration. Apostille translation. Translation of contracts; patent litigation documents. Deposition interpreters. Technical translation. IP, patent translation, scientific and engineering translations. Seminar and conference interpreters for technical meetings. Business document translation, insurance translation for claims adjusters, marketing translation services, financial translation services. Medical translation services, pharmaceutical translation, regulatory translation, biotech and clinical trial translation services. Medical interpreters for IMEs. There are lots of ways to express thoughts, feelings, and ideas, so it’s critical that your legal translation service present you in the best possible light from the perspective of your contact’s cultural values and beliefs. That’s what differentiates All Language Alliance, Inc., provider of the best legal translation services by experienced subject matter linguists, from other foreign language translation companies in the localization and translation industry. Our legal translators who are certified by the American Translators Association, and our lawyer-linguists are highly trained to translate legal documents for the judiciary, attorneys, lawyers, and law firms, and render accurate translations of medical and technical documents to present your company in the most positive light possible. Why take unnecessary chances with your company’s brand image in global markets while implementing your transnational business strategy? Use our notarized and certified translation services for legal document translation from English to Mandarin Chinese. Choose the best document translation company for Spanish translation, Chinese translation, for English to Korean certified translation, and open up brand new avenues of risk-free communication with your foreign clients online and all around the world. All Language Alliance, Inc. is a legal translation agency you can trust to provide certified translation services, official translation services, Apostille translations, medical translation services, legal document translation services, in-person and Over the Phone interpretation services, and court certified translation services into more than 100 languages. Our witnesses often speak only Polish, Korean, Tagalog, Japanese, and other less common languages. Your deposition interpreters are incredibly professional. They allow us to complete all the depositions with ease. Needing a certified translator for legal document translations near you? Searching for a Mandarin deposition interpreter, a Japanese conference interpreter with the U.S. Department of State and the U.S. Department of Justice credentials, or a certified interpreter for an Independent Medical Examination in Denver, Colorado, or across the country? Looking for legal translation services nearby for an Apostille translation? With headquarters in Denver, Colorado, USA, we provide legal document translation and interpretation services to law firms, Fortune 500 companies, and government clients in Colorado, nationwide and worldwide, employing hundreds of legal translators and court interpreters. Our certified translators specialize in document translation services for businesses, law firms, global citizens, immigrants, expatriates, and persons applying for birthright citizenship, dual citizenship and dual nationality. Our court certified interpreters excel in on-site and telephone interpreting for domestic and foreign depositions in U.S. litigation in rare, exotic and common languages, including Cantonese, Tigrinya, Dari, Arabic, Filipino, Pashto, Amharic, Spanish, Somali, Mandarin, Ethiopian, in Denver, Colorado, and NYC, Los Angeles, Washington, D.C., the Bay Area, Chicago, Miami, Atlanta, Las Vegas, Hong Kong, Germany, and other places across the globe. …many thanks for delivering this on time. We appreciate your excellent service. We get lots of patients who don’t speak English. We are very happy with your medical interpreters who speak Lao, Nepali, Cantonese, Vietnamese, and other hard-to-find languages.